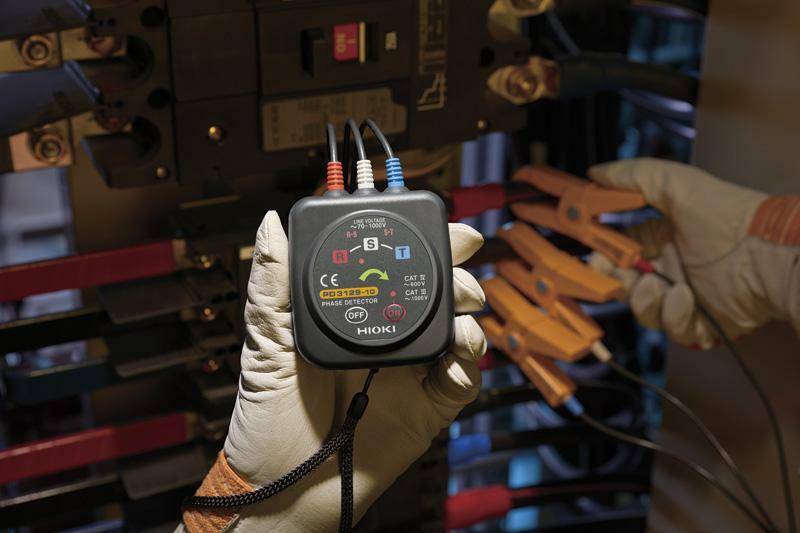 Hioki’s non-contact voltage detection and measurement technology places efficiency and safety as priority considerations with the goal of protecting customers that need to conduct on-site electrical work as part of renovations and expansions of manufacturing plants and buildings. Model PD3129-10 is a non-contact phase rotation meter that detects the phase of electrical current flow within insulated wires without using metallic contact voltage clips. The green arrow indicates normal phase, which can be useful for visual reports that document the proper completion of electrical work. The arrow in the center of the instrument turns green to indicate normal phase. In this way, normal phase can be recognized at a glance. 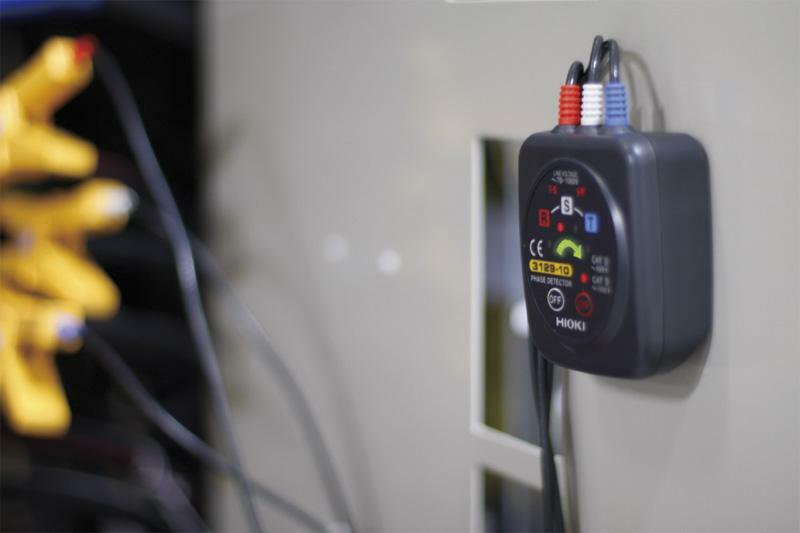 In addition, the arrow shows up clearly in photographs, making the PD3129 ideal for documenting proper installation in end-of-project reports. 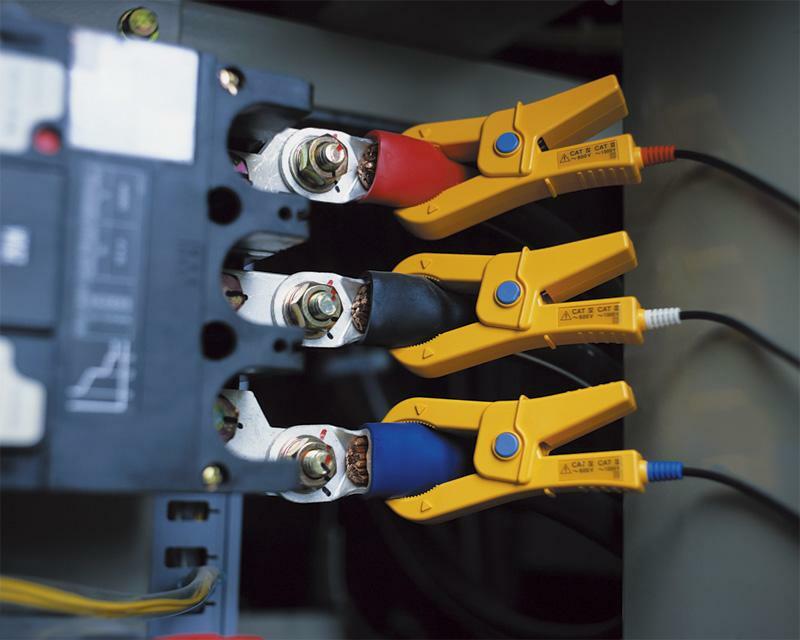 The PD3129 uses no-metal-contact clips that need only be clipped to the outside of each insulated wire, allowing phase to be detected safely. Four magnets on the back of the instrument allow it to be secured in place on distribution panels. By leaving your hands free for other tasks, this feature dramatically boosts work efficiency.